The previous experiment i use low psi (10 psi) which is recommended for alclad and mr hobby, i didn’t give it a second thought for Modo paint’s recommendation. After the experiment then only i realize that it’s recommend to spray at 30 – 40 psi. 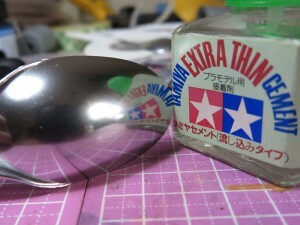 So i give it a try on high pressure setting and test on all the paints. 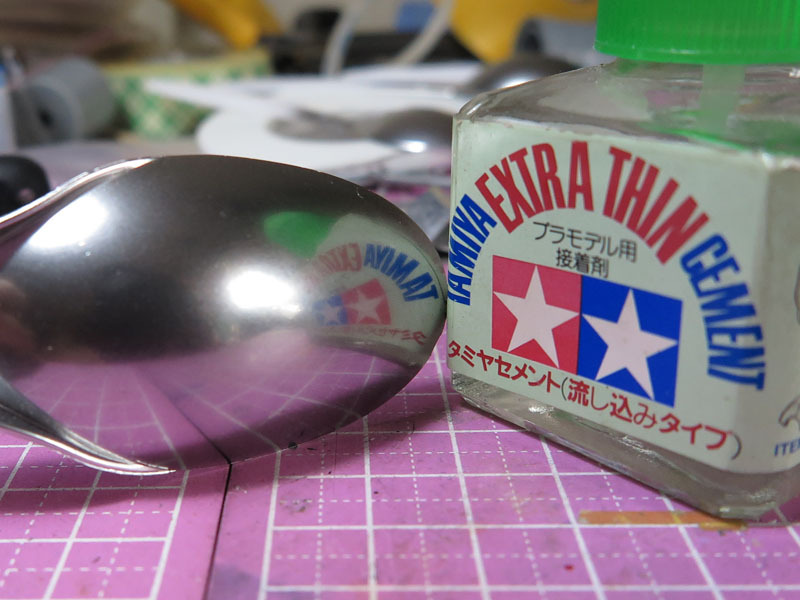 Here i use 40 Psi and spray slightly overcoat, because i want to try buffing on the chrome after paint. 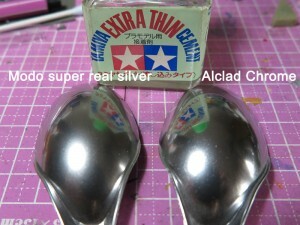 I find it alclad work better in higher PSI too, over spray will make it misty but after buff it will be very reflective. 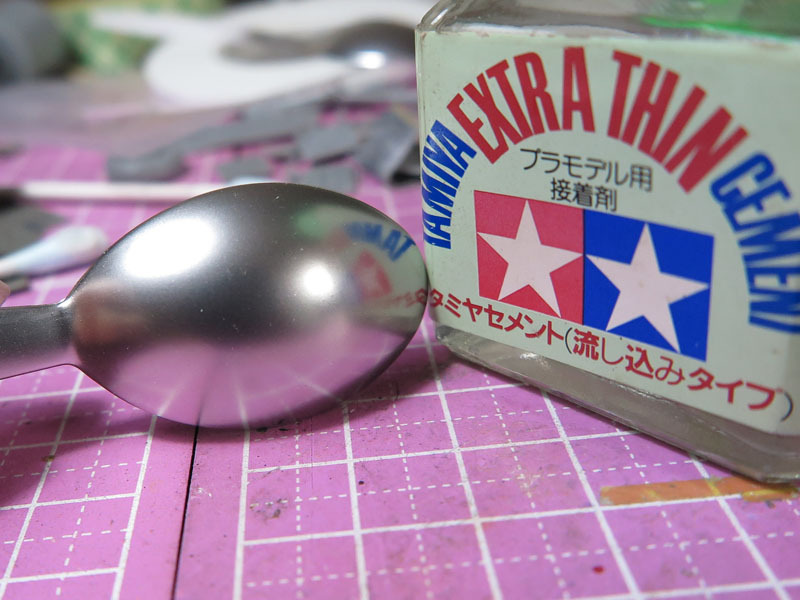 Modo super real silver, notice that it won’t work with buffing, so which mean it need thin layer of paints only. 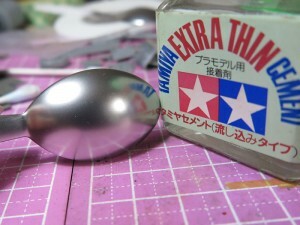 Mr Hobby plate silver next, work well with high pressure too, buffing help to shine a little. 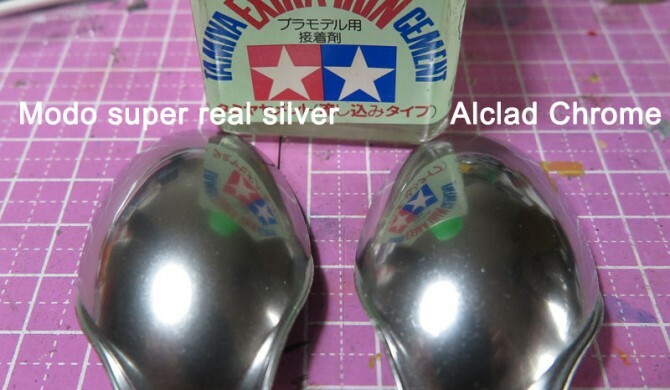 Alclad with 40 psi, thin layer of paint, no over spray. Modo super real silver with 40 psi, thin layer, no over spray. After some testing and experiment, i do find that chrome paints are very sensitive, different brand got different characteristic, it only can shine if the ‘requirements’ are met. 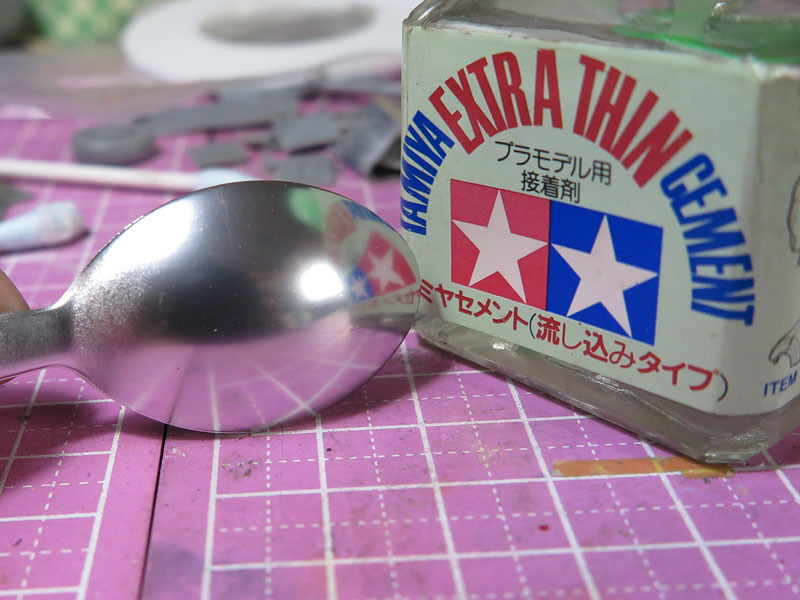 Okay, from these testing and experiment, i find that with higher pressure the chrome paint particle is easier to spread out and cover evenly, high pressure and lower the volume of paints flowing out, it make it easier to work with chrome paints. Sorry for the different size of spoon i run out of them and using those plastic spoon i found at home. 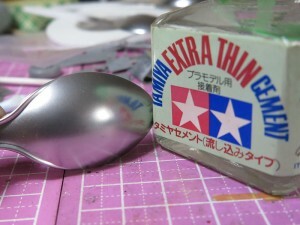 Just bought new bag of spoon, i can test more paints now. lol.